TS016Padded jacket with TVRCC logo in contrast colour. 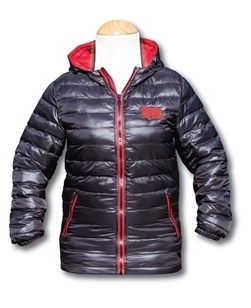 Warm and versatile padded jacket. Water resistant. Wind resistant. Warm polyfill quilted lining. Fully lined hood with adjusters. Full zip with zip guard. Two interior pockets. Two zippered front pockets. Elasticated cuffs.